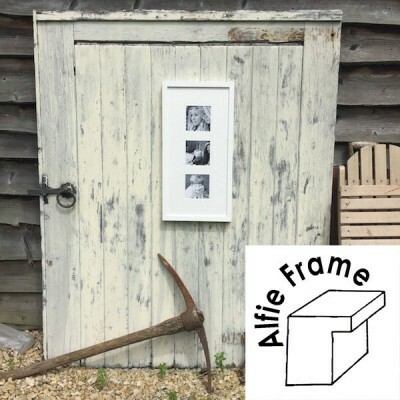 Cotswold Frames are white, hand-finished stylish wooden frames made in our Studio at Deddington, Oxfordshire. The perfect way to display family photographs. 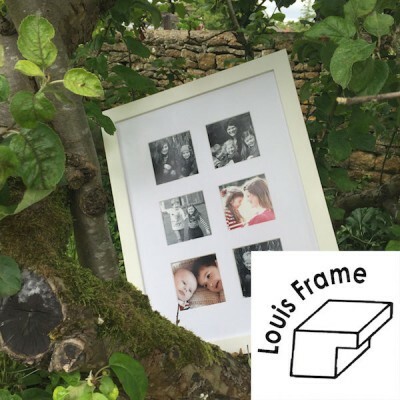 There are four styles of frame – Alfie (deep edge), Charlie (gentle, beveled edge), George (shallow domed edge) and Louis (square edge). Each frame style varies in size and are available in a variety of multi-aperture formats; displaying between 1 and 16, 4” x 4” photographs. 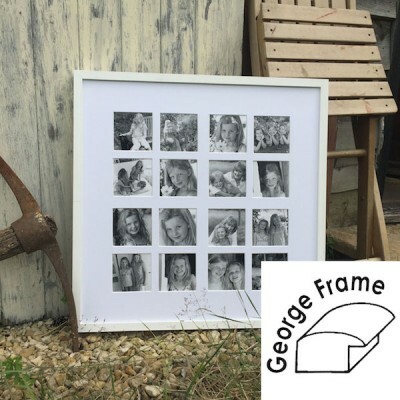 These frames offer great flexibility, allowing a range of sizes to be purchased and choice of mount colour. Select the individual style for further information and sizes. 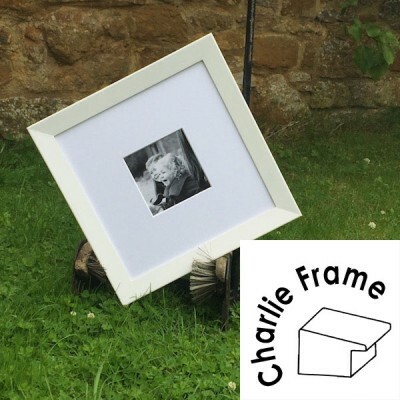 Framers Tip – Always print your photograph slightly larger than your aperture size for ease of fitting.